It's no secret that I'm a huge fan of Lindsay Letters. As I've shared before in my gift ideas posts, she creates gorgeous prints filled with words of truth. They make great wall decor and she also makes mugs, stationary, stamps and apparel with her prints. I can go on and on about her creative abilities, but you just need to check out her shop & be willingly led into her vault of beautiful things. 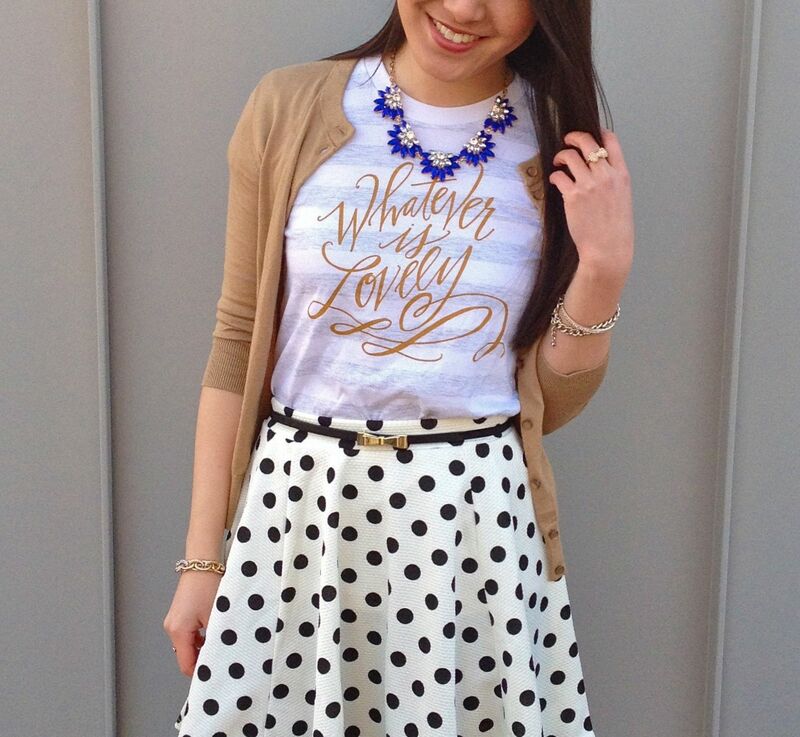 This past Christmas as I was gift shopping on her site, I decided to buy myself her "Whatever is lovely" shirt since I had been eyeing it for a while. The words come from Philippians 4:8 that says, "Finally, brothers and sisters, whatever is true, whatever is noble, whatever is right, whatever is pure, whatever is lovely, whatever is admirable—if anything is excellent or praiseworthy—think about such things." I love this verse because it serves as a reminder for me—and hopefully others—to saturate my heart and mind with these things as I live out my life. And even if you don't share my faith, these are traits of thoughts that most people would agree are good for us to think about. It's a reminder that even though there are so many terrible things going on in this world and life may be difficult, there is still beauty in the broken. We just need to widen our lenses to look for the good and whatever is lovely. This top is one of my favorite presents to myself! And it can be dressed up like this style story or dressed down with jeans. It's a statement piece in itself and doesn't need much accessorizing. 3. Favorite laugh: "Math Class" as imagined by kids, but acted out by adults. 4. Favorite outfit: This dress I wore to a friend's wedding this past weekend! 5. Favorite cry: Last week's Parenthood episode was a heart breaker. Thanks for stopping by! May we all remember that there is hope in the haze of the life's storms. We just need to search for & set our minds on whatever is lovely. 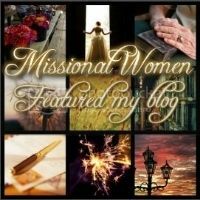 And it's an honor to share that my blog is featured on Missional Women! Thank you! Thank you so much for the sweet words! Hope you have a wonderful weekend as well! What a great shirt! That verse is one of my favorites and I really like the idea of wearing a reminder to focus on those things. You look so cute! It is a great verse :) Thanks for the kind words! 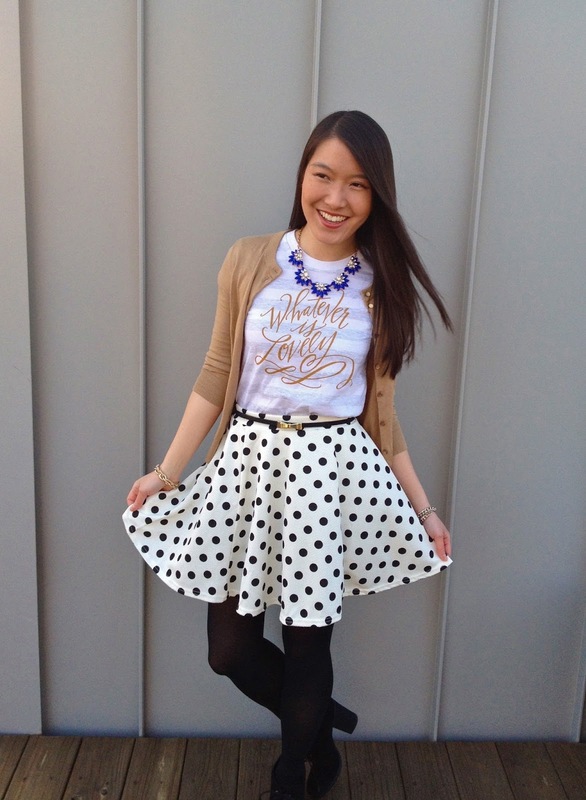 I want your skirt! 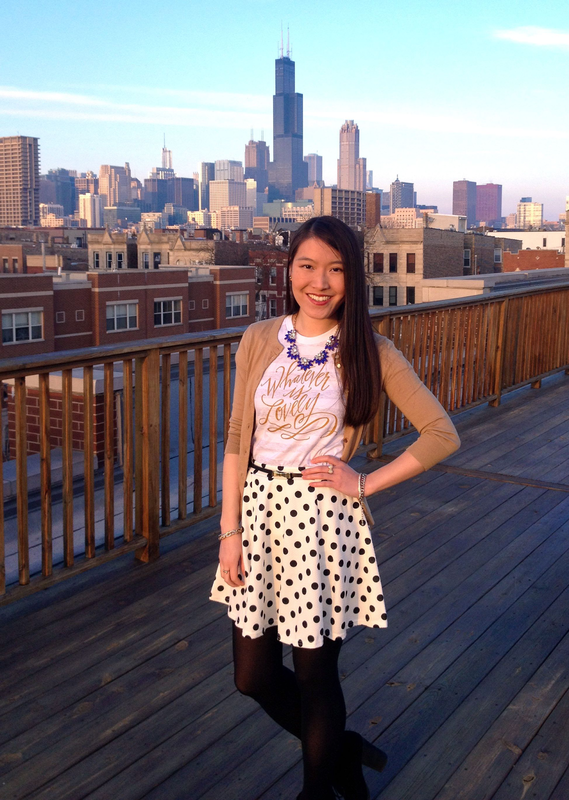 I love polka dots! Thank you! She is one talented gal! I'll definitely be stopping by again! You're such a great writer! Keep it up! 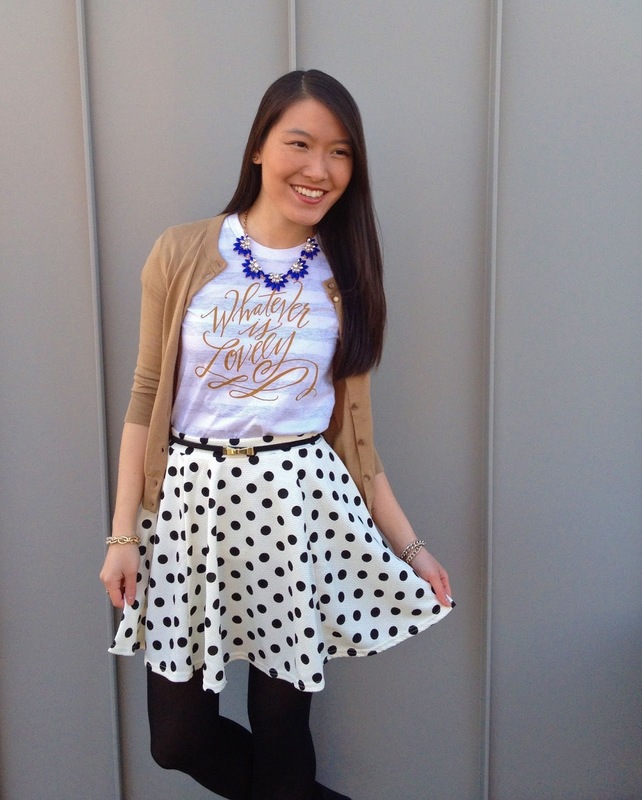 I love, love your blog! And I really like that tee. :) It's one of my favorite verses as well. And thanks for the recommendation on Lindsay Letters--I've been looking for prints exactly like those. Thank you so much! That is really encouraging to hear!